The modern corporate legal function has always operated under a duopoly. 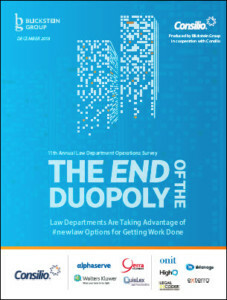 Corporate law departments could do work in-house, or they could send it to their law firms. There were really no other options. 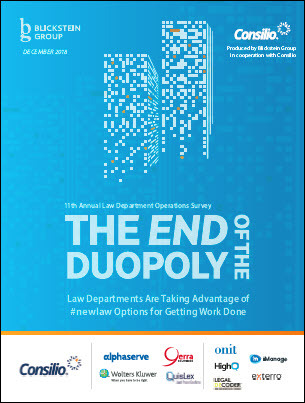 That model has changed in recent years, and corporate law departments now have new ways to accomplish legal work, increase efficiencies and lower costs, as the 11th Annual Law Department Operations Survey demonstrates. These options include new technologies, alternative legal service providers (ALSPs) and legal process oursourcing (LPOs), alternative fee arrangements (AFAs), artificial intelligence (AI), leveraging automation or demanding automation from their providers and data mining and analytics. Please complete the brief form below to download the PDF of this report.